Repeats every week every Monday until Mon Aug 26 2019 . 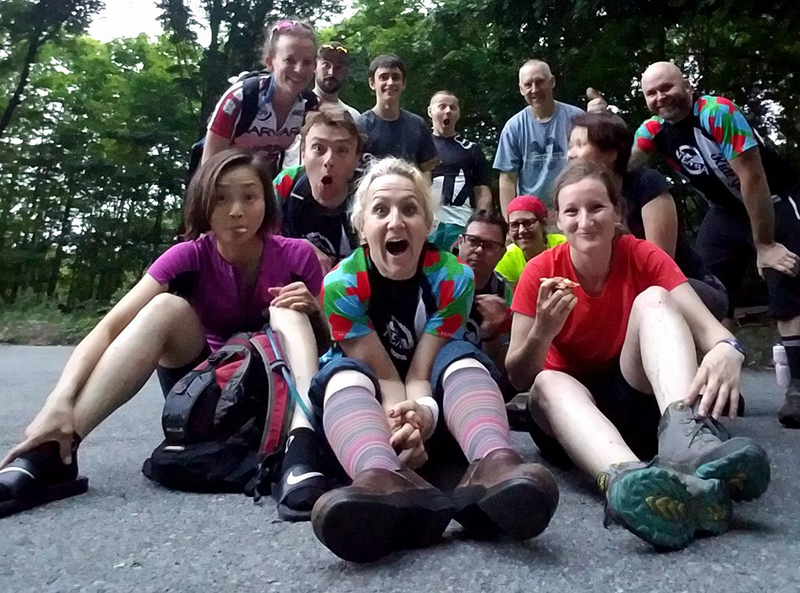 Returning for the 2019 season, GBNEMBA is hosting a Monday night ride designed specifically for new and novice MTB'rs. Post-ride pizza will be provided again! Come learn the basic skills to ride singletrack! We will be teaching bike handling, shifting, body position, basic trail skills and basic trailside bike maintenance in a relaxed and supportive setting. Instruction will be by GBNEMBA's experienced Ride Guides in a supportive, fun environment. Ride format will *always* be no-drop, very casual pace (Note: this is not a recovery or rest ride for you experienced MTBrs - this is an instructional ride format for new riders). We'll have plenty of opportunity to practice what we learn as we go along! Please be ready to ride by 6:00pm, ride will leave the lot by 6:15pm. Please note: This is an 18 and older ride. The ride format is aimed at adults - please see our Kids Ride series for rides appropriate for kids and teens. Thanks! Slow down when you see other riders, hikers, or animals. Ride through the center of a mud patch or puddle, NOT around it. Ride over an obstacle, NOT around it. If you can't ride over an obstacle, get off and walk it - stay on the trail. Do not make new routes or trails. Do not skid, spin out, or fishtail - uphill nor downhill. Always offer to yield the right of way. Be friendly - say hi to other trail users!